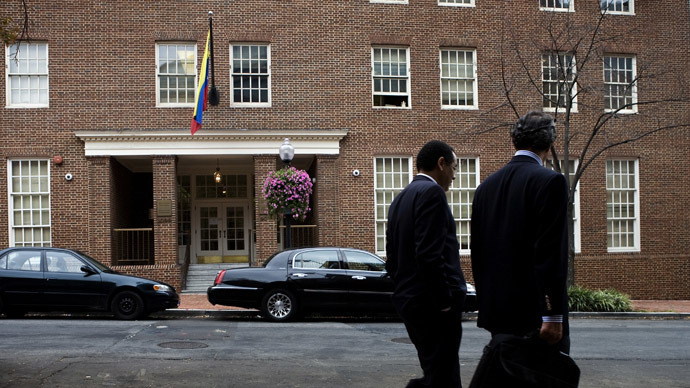 The US has given three Venezuelan diplomats 48 hours to leave the embassy in Washington DC, a week after three American consular officials were expelled from Venezuela on the order of President Maduro. The "State Department has declared First Secretary Ignacio Luis Cajal Avalos, First Secretary Victor Manuel Pisani Azpurua, and Second Secretary Marcos Jose Garcia Figueredo of the Venezuelan Embassy in Washington DC personae non gratae," the official said in a statement sent to AFP. "They have been allowed 48 hours to leave the United States," it added. The move, which is in retaliation for President Nicolas Maduro’s expulsion of US diplomats on Feb.17, comes as the Venezuelan leader announced plans to send an ambassador to the US. The two states have not had ambassadors since 2008 and now Caracas wants to improve dialogue with Washington. 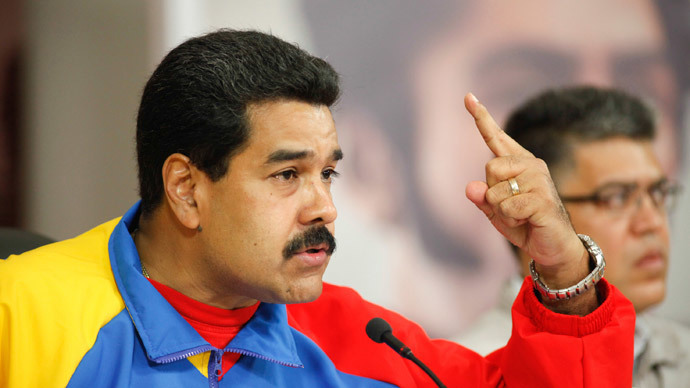 "US society needs to know the truth about Venezuela," Maduro said in the latest of his daily speeches to the nation at a meeting with state governors late on Monday. "They (Americans) think we're killing each other. They think we can't go out to the corner. They're asking for US military intervention in Venezuela. What madness! Should that happen, you and I will be out with a gun defending our territory." 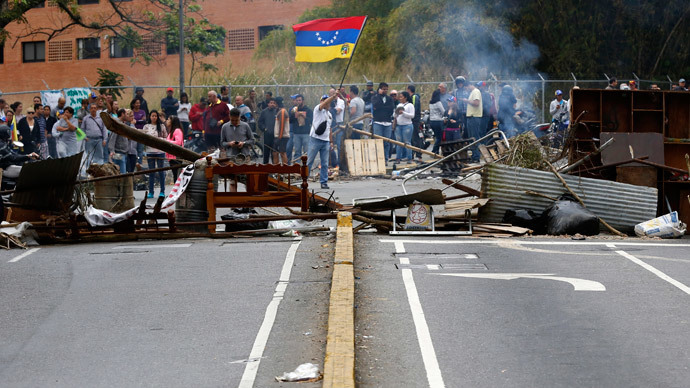 The long-lasting confrontation between the US and Venezuela escalated after President Maduro accused American diplomats of conspiracy and meeting students involved in anti-government protests. He ordered them to leave Caracas. It was believed that the expulsion was provoked by the Obama administration's support for the Harvard-educated opposition leader Leopoldo Lopez, whom Maduro accuses of inciting protest and leading a US-backed "fascist" plot to oust the socialist government. 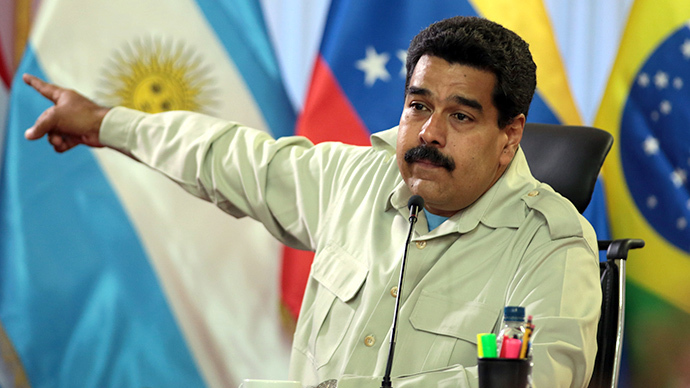 The US denied the accusations that it has been plotting with the opposition against Maduro. Venezuela has seen weeks of anti-government protests, in which 13 people have been killed and over 150 injured.